A source of all fear at the psychological level comes from abilities of each human being to interpret risky situations. Courage plays a vital role in enabling and enriching our lives. In fact, to have a mental willingness to endure danger is a mechanism that has been maintained during the development of humanity as a situational tool to face any challenge in life. In a long-term, we can use this capacity to succeed in different aspects of daily life, as well as using it as a personal guide with which we can recover certain points that we have abandoned in the way we act, but with all necessary strength and mental willingness, we will be able to recover very easily if we keep using courage as motivation. 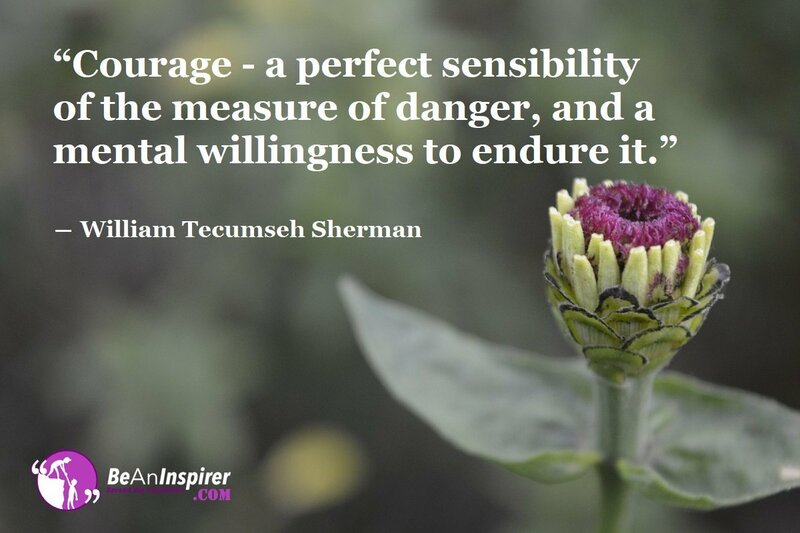 How do we Use Courage as a Mental Willingness to Endure Danger? The impact we can create on ourselves is quite remarkable if we use this right value for our benefit, especially in situations of danger, which is why it is important to know the measures and extremes that we may be able to overcome, without endangering our physical or mental integrity. In this way, we can use our courage as motivation. When we are motivated, we can easily frame our mental willingness to endure danger. Perform analysis and put yourself in perspective. Know when and when not to help someone in a dangerous situation. When making a decision, use all necessary requirements to overcome every difficulty. Think outside the box and plan a clear solution. Use our courage as motivation. These elements are essential to achieving the results and objectives we want to achieve according to our own needs in the long and medium term. As we have seen, any one of us as a society or a group of integral people is capable of generating the results we want to obtain, as long as we know how to use their courage as motivation, which in the initial stages is quite a considerable challenge. But that’s way to endure danger. Without a doubt, we are sure that value comes from our heart and mind, and by creating a balance between these two factors, we will be part of a process that will lead us to personal success, acting as a domino effect, since in the same way, we will achieve spiritual growth, consciousness, and attitude, to face any challenge as long as we use our courage as motivation. Share your opinions in the comments box below! We are interested in watching your views on this particular topic.